The Book of Mormon was translated from ancient gold plates by Joseph Smith, is the most correct book on earth, and is an ancient historical record. The court summons mentions tithes, likely because the Church expects all members to pay 10% of their income based on its truth claims. The Church’s truth claims are directly related to the items in question, such as the authenticity of the Book of Mormon (items #2 and #3 listed above). Members who do not tithe are not allowed to hold leadership positions and are denied entrance to the Church’s temples, which is considered absolutely essential for obtaining eternal life and exaltation. Thus, a full 10% tithe is considered mandatory, rather than voluntary, for members who wish to receive the Church’s blessings. Therefore, if the Church’s truth claims do not hold in a court of law, the mandatory tithing requirement could be considered a fraudulent practice based on deceptive claims. 1. The Book of Abraham is a literal translation of Egyptian papyri by Joseph Smith. Joseph Smith clearly taught that the Book of Abraham was a literal translation of the writings of Abraham contained on ancient papyri which the Church currently has within its possession. More recent evidence shows that the Book of Abraham has no relation to the Egyptological translation of the papyri (see, for example, this link) and also suggests that the contents of the Book of Abraham are largely derived from 19th-century source materials (see, for example, this link). 2. The Book of Mormon was translated from ancient gold plates by Joseph Smith, is the most correct book on earth, and is an ancient historical record. 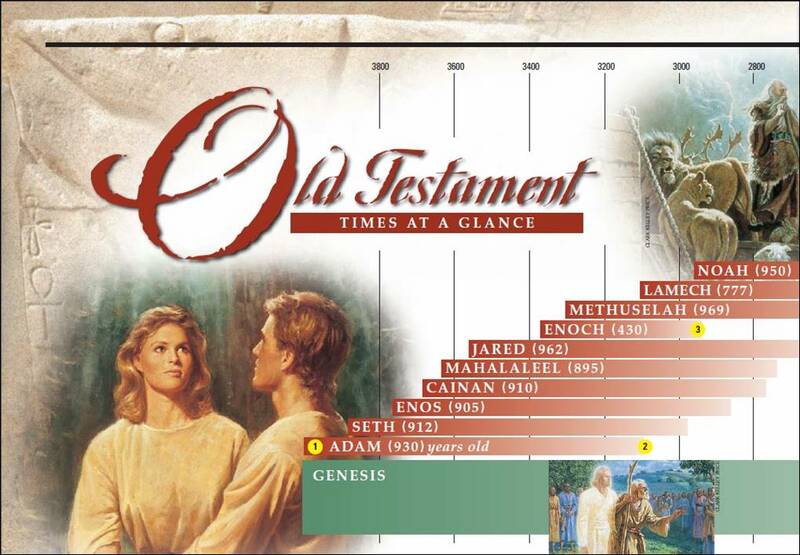 Joseph Smith declared that the Book of Mormon was “the most correct of any book on earth.” This can tested in many ways, including examining its origins and contents (see, for example, this link), and examining its historical authenticity (see, for example, this link). The book is considered fictitious and historically illegitimate by mainstream scholars, historians, and archaeologists. Joseph Smith clearly taught that the Book of Mormon was a literal translation of the writings of these ancient persons found on golden plates. More recent evidence suggests that the contents of the Book of Mormon are largely derived from 19th-century source materials (see, for example, this link). 3. Native Americans are descended from an Israelite family which left Jerusalem in 600 B.C. The Book of Mormon claims that the Native Americans descended from a Hebrew family, which directly contradicts DNA evidence that the Native Americans are of Asiatic descent (see, for example, this link). 4. Joseph and Hyrum Smith were killed as martyrs in 1844 because they would not deny their testimony of the Book of Mormon. This allegation relates to the Church’s teachings that Hyrum and Joseph Smith died because they would not deny their testimonies of the Book of Mormon (see, for example, this link). It is believed by historians that their deaths were actually the result of angering the people because of deceptive polygamous practices, Joseph making himself mayor of the city, destroying a printing press that was publishing true information about him, his revealing the Masonic rituals against a sworn oath of loyalty, and convictions of fraudulence. The court records for Smith’s track record of fraud are available for examination (see, for example, this link). 5. The Illinois newspaper called the Nauvoo Expositor had to be destroyed because it printed lies about Joseph Smith. This allegation concerns the Nauvoo Expositor, which made two main claims: 1) Joseph and a select few were practicing plural marriage whilst publicly denying these accusations, and 2) Joseph had himself crowned king over all the earth and “God to this generation” at his secret meetings with the Council of Fifty. These claims have now been verified by historians to be true (see, for example, this link). 6. There was no death on this planet prior to 6,000 years ago. 7. All humans alive today are descended from just two people who lived approximately 6,000 years ago. Whereas the Biblical book of Genesis does not specify any dates, the Church teaches that this Fall took place 6,000 years ago (excerpt from link shown below), and that the Garden of Eden was located in Missouri. These beliefs come from D&C 77 and teachings of Joseph Smith and many succeeding prophets, seers, and revelators of the Church. In contrast, modern scholars have shown that the first humans emerged around 200,000 years ago in Africa, and that death existed on this planet for millions of years prior to the emergence of our species. In fact, it is now known that humans had already populated almost every continent by 6,000 years ago. The official court summons report can be viewed here. Details from the prosecution are available at this link. Salt Lake Tribune article here. This entry was posted in Book of Abraham, Book of Mormon, Joseph Smith, Line of Authority and tagged british magistrate, Corporation of The Church of Jesus Christ of Latter-day Saints, court summons, fraud, lawsuit, news report, president monson, The Church of Jesus Christ of Latter-day Saints, thomas s monson, Tom Phillips, u.k.. Bookmark the permalink. Considering that Freedom of Religion is alive and well in the UK, do you really think this lawsuit stands much of a chance? I don’t. I do see it as causing some negative publicity for the Church, but nothing that the Church can’t handle. Various attorneys who have looked into the matter have taken different stances. One the one hand, it is certainly possible that something significant could result, but the probability appears to be low. The Church has vast resources and billions of dollars at its disposal, and it is estimated that the Church employs around 75 full-time lawyers in Salt Lake City alone. Certainly these resources will be used to do whatever necessary to avoid litigation and mitigate damage to image and perception. So how do you see this really making any type of difference with Church members? Frankly, I don’t see it doing much. All Tom Phillips has really achieved is assuring that faithful members’ tithes will be used on attorney fees. You have a good point. It certainly does seem a misuse of tithing funds, not to mention the increase in PR campaigning which is sure to follow. But even if nothing comes of the lawsuit itself, perhaps the difference this event can make will be that 1) it forces some very important issues, 2) it increases awareness of these vital issues in the general Church membership via publicity, 3) it may cause the Church leadership to reconsider the consequences of their continued perpetuation of untruths, and 4) it helps people see the link between false claims of authority and tithing requirements for eternal temple blessings as a fraudulent practice. George Washington said, “Truth will ultimately prevail where there are pains to bring it to light.” Perhaps this event is a part of these pains that will eventually result in bringing the truth to light for many people. I don’t think we can speculate on the possible success of the lawsuit until we define what success is. My personal view of success is not for the case to be won by TP but for an open dialogue about problematic church doctrine to emerge. Just the fact that we can start an open debate about some truth claims of the church is a very big win as far as I’m concerned. Does the UK even have jurisdiction to sue President Monson? America could not sue the pope. Besides there is no way to prove or disprove anything of a religious nature in a court. Just leave our prophet alone. You raise a valid question. Unfortunately, the 7 fraud allegations (described above) are items of a secular (rather than religious) nature that could actually be examined in a court of law. For example, the origins of man coming exclusively from two people 6,000 years ago can be examined using DNA evidence. However, claims of a religious nature (such as a hypothetical lawsuit against the Pope for teaching that Christ atoned for the sins of the world) would certainly be dismissed. This is not the type of claim being made in this instance. This report is the most helpful I have seen. Thanks for explaining the issues so clearly, I understand much better now.